The following remarkable letter was written on clay tablet between the years of 1350 and 1335, BC, by Ayyab - king of the city of Aštartu in the Canaan region - and sent to Amenhotep IV, then-Pharaoh of the Eighteenth dynasty of ancient Egypt. It was discovered in the 1880s in Amarna, and is just one of 382 such Cuneiform tablets known collectively as the Amarna letters. 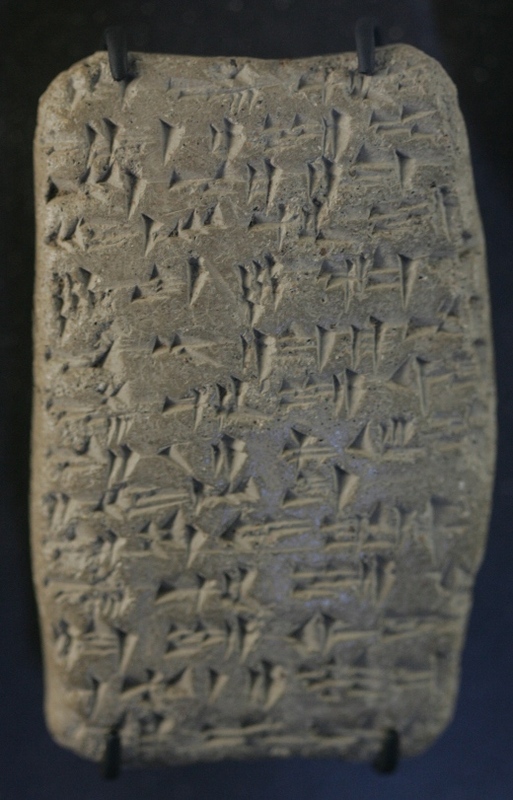 The image below shows the first 14 of this particular letter's 28 lines of text, all written in the ancient language of Akkadian. Translated transcript follows. Image courtesy of Wikimedia. Recommended reading: The Amarna Letters. To the king, my lord. Message of Ayyab, your servant. I fall at the feet of my lord 7 times and 7 times. I am the servant of the king, my lord, the dirt at his feet. I have heard what the king, my lord, wrote to me through Atahmaya. Truly, I have guarded very carefully, the cities of the king, my lord. Moreover, note that it is the ruler of Hasura who has taken 3 cities from me. From the time I heard and verified this, there has been waging of war against him. Truly, may the king, my lord, take cognizance, and may the king, my lord, give thought to his servant.